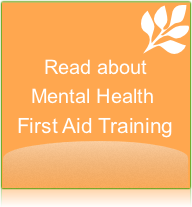 We provide Mental Health First Aid training in Australia and New Zealand. 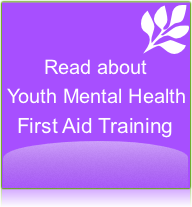 Mental Health First Aid is the help provided to a person who is developing a mental health problem or who experiencing a mental health crisis. Like physical first aid, mental health first aid is given until the person receives professional help or until the crisis resolves. 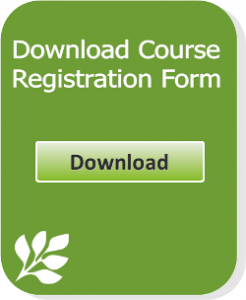 Mental health first aid strategies are taught in evidence-based training programs authored by Mental Health First Aid TM (MHFA) Australia and conducted by MHFA Instructors across the country. MHFA Australia curriculum has also been adapted for delivery in other countries (more info about MHFA International here). “Very helpful, I can see many situations at school that this could be useful. Practical – one liners and application to school situations."